‘Digital Nation’—Are MIT Student Attention Spans at Risk? The PBS Frontline series, “Digital Nation: Life on the Virtual Frontier,” is using MIT students as a starting point to understand how omnipresent digital media is influencing daily life—perhaps detrimentally—in the 21st century. Watch a 90-minute segment of Digital Nation to learn why Turkle believes that effective multitasking—even digitally facilitated— is mostly myth. What do you think? What’s the Most Important Profession in America According to Teens? Findings from the Lemelson-MIT Invention Index. Teachers rank highest, followed by doctors, scientists, military personnel, engineers, and politicians. If you had to choose, which profession would you say contributes most to society’s well-being? According to the recent Lemelson-MIT Invention Index, an annual survey that gauges kids’ perceptions about invention and innovation, teens rate teachers highest, followed by doctors (see graphic). Less than one-fifth of respondents viewed scientists as having the highest impact on society and only 5 percent chose engineers. One reason might be because students simply aren’t aware what professionals in the fields of science, technology, engineering, and mathematics (STEM) do and don’t have suitable role models. But the good news is that teens are excited to learn. Indeed, 77 percent were interested in pursuing a STEM career, and 85 percent wish they knew more about STEM in order to create or invent something. The most effective way to engage them is through hands-on activities with enthusiastic mentors and teachers. Passion seems to be essential. More than half of respondents (55 percent) would be more interested in STEM simply by having teachers who enjoy the subjects they teach. 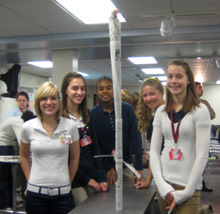 The most inspiring training grounds, teens indicated, were field trips to view STEM in action and places outside the classroom where they can build things and conduct experiments (53 percent). Learn more about the Invention Index’s findings and how you can mentor students in STEM subjects. Of course, MIT is all over the place. 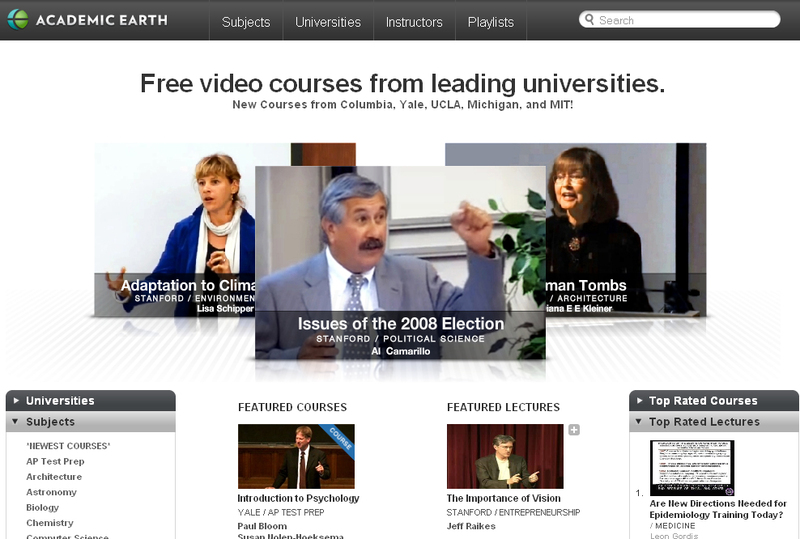 The cluster of videos on Media, Education, and the Marketplace includes the an introduction by MIT Linguistics Professor Shigeru Miyagawa and talks such as the Next Big Thing: Video Internet by Robert Metcalfe ’68; Educational Uses of Technology by Steven Lerman ’72, SM ’73, PhD ’75; OCW Executive Director Anne Margulies on using interactive media in education; and MIT Professor John Belcher on teaching physics using multimedia. So, in the spirit of IAP, you might want to check out Academic Earth. Anyone for the Morality of Murder by Harvard Professor Michael Sandel, the New Testament as History by Yale Professor Dale B. Martin, or the Blue Planet Oceanography series by UCLA Professor Edwin Schauble? Enjoy! 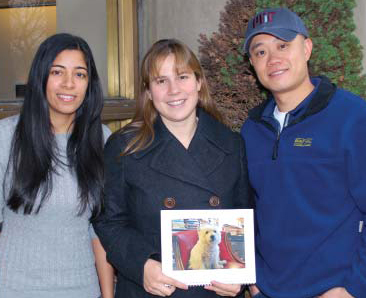 MBA students Divya Jani, Deirdre Hatfield, and Calvin Cheung researched dog choice. A group of MBA students recently researched the decision-making process involved in selecting a pet dog in Drazen Prelec’s Listening to the Customer class. Calvin Cheung, Deirdre Hatfield, Divya Jani, John Curry, and Lauren Ready, all MBAs set to graduate in June, wanted to understand how households acquire dogs as pets. So they examined the thought processes behind how families and individuals decide which dogs are best for them. 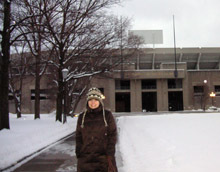 The team used a method known as the Zaltman Metaphor Elicitation Technique (ZMET), an interview process that encourages participants to use images to highlight the subconscious thoughts behind their decisions. Then they asked their interview subjects detailed questions about how they obtained their dogs. A News@MITSloan article describes the results. The ZMET technique proved valuable, according to Curry. “ZMET allowed us to use images, visualization, and stories to understand dog owners’ underlying choices and behaviors,” he said. “Since dogs are inherently a personal topic, ZMET was ideal for this study. For example, if someone says, ‘I like dogs with powerful looks,’ they likely have deeper feelings that drive that affinity,” he said.